Malibu Coast AVA Damaged During Woolsey Fire Both wineries and vineyards in the Malibu Coast AVA were heavily damaged or destroyed by the Woolsey fire in the hills west of Los Angeles. That said, some vineyards served as firebreaks that saved homes and other structures. The Malibu Coast AVA includes 44,590 acres with a total of 200 acres planted to grape vines. Oregon Vineyards Lost to Red Blotch Recently, I wrote extensively about the threat of Grapevine Red Blotch Virus (BRBaV) to vineyards in California and Oregon: www.princeofpinot.com/article/2084/. A recent article at www.ijpr.org/post/oregon-winegrowers-losing-vines-red-blotch#stream/0, reported that at least one Oregon winegrower was tearing out a vineyard due to red blotch infestation. Merry Edwards Appoints Successor Winemaker Merry Edwards has elevated Associate Winemaker Heidi von der Mehden to the position of Winemaker, effective at the start of the 2018 harvest. Merry remains CEO and CFO of her eponymous brand that was founded in 1997. More details forthcoming in an upcoming issue of the PinotFile in which current Merry Edwards Pinot Noir releases will also be published. 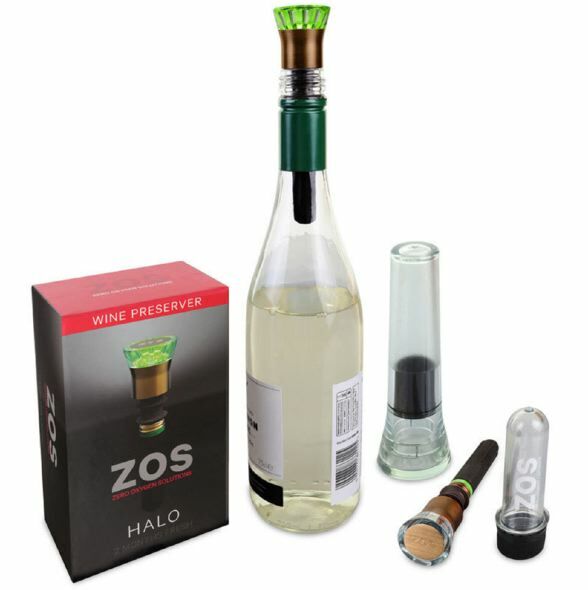 ZOS Halo Wine Preserver This easy to use wine preservation system simply inserts into the wine bottle like a stopper. The cartridge contains a patented, nontoxic material that absorbs 100% of the oxygen in the wine bottle, stopping the oxidation process, and extending the life of the wine for up to 2 months. The cartridge lasts up to a dozen bottles, depending on usage and exposure to oxygen in between bottles. An electronic tester cartridge accompanies the wine saver kit and tells the user if the cartridge is still good or needs to be replaced. The price is $74.95 through Wine Enthusiast or Amazon. I have not tried the device. Winemaker Jesus Guillen Passed Away Jesus was a friend of mine with whom I tasted wines on several occasions. An unexpected battle with an aggressive cancer took his life at the young age of 38. He is survived by his wife, Yuliana and son Adrian. Jesus moved to Oregon in 2002 after graduating with a degree in Computer Systems Engineering in Mexico. Following graduation, a visit to see his father, Jesus, Sr., who worked at White Rose Estate in the Dundee Hills, led to an interest in winemaking. He began his wine career working in the vineyards for Patricia Green Cellars and later alongside his father at White Rose Estate. Much of his winemaking acumen was self-taught. Greg Sanders, the owner of White Rose Estate, recognized Jesus’s interest and talent and offered him a job in the cellar. He became the head winemaker at White Rose Estate in 2008. 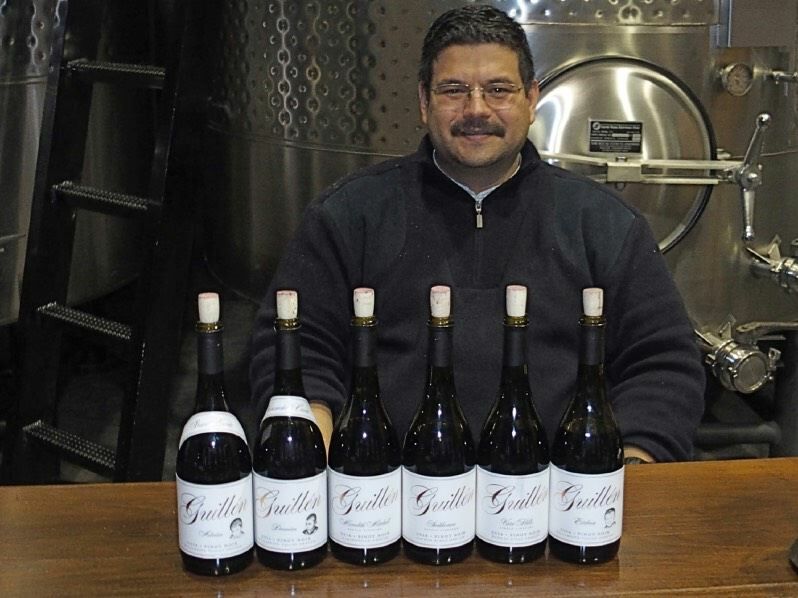 Two years prior, he launched Guillen Family Wines with a small amount of fruit from Vista Hills Vineyard. These were special Pinot Noir wines that featured 100% whole cluster inclusion. Jesus was a humble man with a keen palate, a loving father, a dedicated husband, a caring son, and an inspiration to all he knew. He will always be remembered in the highest regard by those he touched through his Wines Made in Beautiful Oregon, Por Manos Mexicanas. Winter’s Hill Estate in the Dundee Hills is hosting the Guillen Family Benefit Wine Sale and Tasting on Saturday, November 24, to raise money for bills and his family. All tasting fees and wine purchases will go directly to the Guillen family. For event details and tickets visit Eventbrite. You can also honor Jesus’s legacy by buying Guillen Family wine at www.guillenfamily.com/shop. Vintage Book from Filmmaker and Author David Baker Baker is the producer and director of the acclaimed documentary American Wine Story. 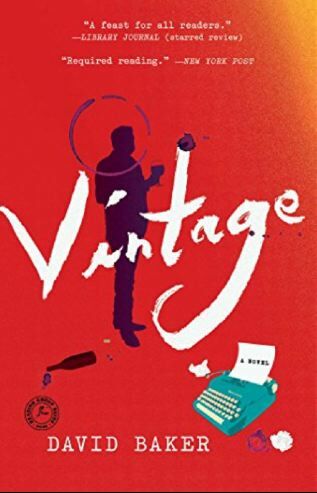 Vintage is his debut novel, a story of a down-on-his-luck wine and food writer and his quest for a “lost vintage” in Burgundy, a legendary wine that was thought to have been stolen by the Nazis in World War II. The book is available at Amazon ($15.27 in paperback). Joseph Swan Vineyard 50th Anniversary Joseph Swan Vineyard is celebrating its 50th anniversary and the 40th vintage for winemaker Rod Berglund, husband of Lynn Swan Berglund. To honor this occasion, the winery is releasing a six-year vertical of estate-grown Trenton Estate Pinot Noir. Joe Swan first planted the vineyard in 1969 to Pinot Noir and these original plantings form the basis for this wine. The vertical includes four library wines from the 2011 to 2014 vintages, the current 2015 release, and a pre-release of the 2016 vintage. The cost is $400. The offer will expire November 30, 2018. Visit www.swanwinery.com. 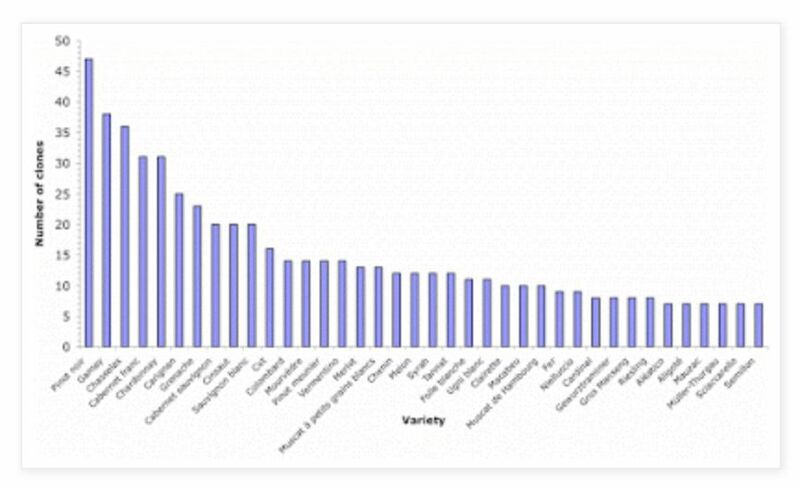 The data come from the list of grape varieties and clones currently approved for viticulture in France. There are a total of 269 approved varieties, 950 clones, with 161 of the varieties only listed with one clone. ‘UNCRUSHABLE: From Ashes to Hope’ This documentary film by Tyler Florence relates the story of the 2017 wine country fires in Sonoma and Napa. Shot over three weeks when wine country was still smoldering, the film was financially backed by Visit California, the state’s tourism publicity arm. The film was screened for several hundred Sonoma County residents October 19 and was shown twice during the Napa Valley Film Festival. I am not sure about future screenings and streaming availability. California 2018 Wine Grape Harvest Report The 2018 growing season had moderate temperatures throughout the spring and summer with harvest beginning anywhere from 10 days to three weeks later than in 2017 according to the California Wine Institute. Vintners reported exceptional quality due to consistent growing conditions and cooler temperatures, allowing the grapes to mature slowly. Yields are projected to be 4.1 million tons in 2018, up 2% from 2017 and above the historical average of 3.9 million tons. The full 2018 California Wine Harvest Report is available at www.wineinstitute.org/files/ WineInstitute_HarvestReport2018.pdf. Santa Cruz Mountains SCM Wines Smartphone App This new app has a digital Passport available ($65) that can be used to redeem tastings at more than 50 participating wineries on any day they are open. The app lets you check in digitally, search information about all the wineries, and filter for wine varieties, location and special amenities. To install (requires Android), visit www.play.google.com/store/apps/details? id=com.golocalapps.santacruzwineries&hl=en_US. Head for the Hills Five special wineries in the Eola-Amity Hills of the Willamette Valley are hosting a progressive tasting experience Thanksgiving weekend, Saturday and Sunday, November 24 and 25, from 11 to 4 pm. The wineries are Bethel Heights Vineyard, Cristom Vineyards, Evening Land, Lingua Franca and Walter Scott. Visit all five wineries over the weekend and you will be entered into a raffle for special prizes. How To Make Any Wine Taste Better As reported at www.thedrinksbusiness.com/2018/11/hestonreveals- trick-to-make-wine-taste-better/, molecular gastronomist chef Heston Blumenthal revealed that the trick to making any wine taste better is to picture someone “you love dearly” while you are drinking the wine. On the other hand, drinking a wine while thinking of someone you don’t like is likely to give the wine a bitter aftertaste. Heston is no crackpot. He runs the three Michelin star Fat Duck and the two-star Dinner by Heston Blumenthal in Australia. He believes the difference in how we perceive wine is due to the link between taste and memory. Recent research from Columbia University has found that it is possible to manipulate flavor perception by activating certain regions of the brain.